It's (sort of) farewell to the excellent 9-1-1, Brendan Courtney's going for a double this week on This Crowded House, while Pat Kenny hosts the latest presidential debate . 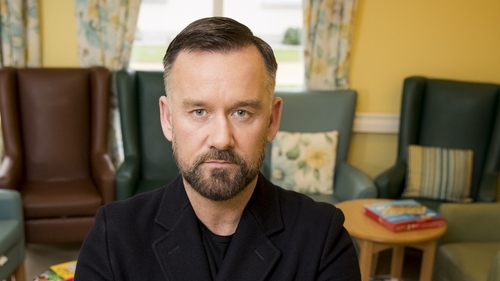 . .
On this week's episode of Brendan Courtney's zeitgeisty documentary series, viewers get to meet two very different young adults, in two different parts of the country, both feeling trapped at home and both hoping to spread their wings. There's 28-year-old graphic designer, Fintan Neville, living with his mum Anna in the family home in Donabate, County Dublin and who is hoping to buy local. Meanwhile in County Sligo, 29-year-old Barbara Ryan is a trainee shop manager. She feels like her life is on hold - she doesn’t like having her friends over as it’s not her house, and doesn’t want to date because she lives with their parents. This two-part observational documentary sees a team of injured British and Australian veterans embark on an extraordinary near 1000-mile expedition across Western Australia's remote Kimberley region. Proper late night viewing, this. The PCA is one of the most exciting live poker tournaments in the world, attracting players from every continent. Hundreds compete in the $10,000 Main Event, vying for a share of the $5.6m prize pool. The first major poker tournament of 2018 has a $1m first prize. Easily the best new prime time drama of the year, but what else would you expect from the people who brought us the likes of American Horror Story, Nip/Tuck, American Crime Story and Feud? The thrill-a-minute drama following the lives of US emergency services personnel reaches the conclusion of its first season, as they take on an unusual domestic disturbance, a death at a psychics and arrive on the scene of a horrific motorcycle crash. Meanwhile, Bobby dips his toe into the dating pool, Abby takes a walk down memory lane, Buck is confronted by his past actions and Athena tries to start her new life. The great news is that season two of 9-1-1 begins next Wednesday! Just two nights after the Claire Byrne Show debate between four of the presidential candidates, here we go again. This time around, veteran broadcaster Pat Kenny is hosting this latest live chinwag, and apparently all six Áras wannabes will be present to explain why they should get your vote on October 26.